I didn't write much on this at the time, so I'll give a brief summary. 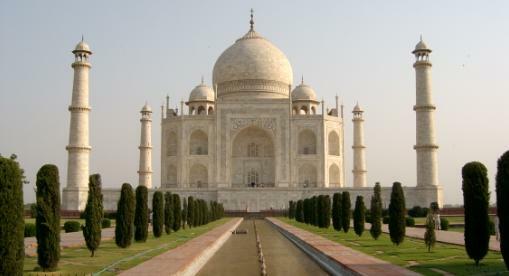 India is rich in culture and an economic powerhouse of the future. Perhaps understandably given the continuing poverty, it has also developed ripping off tourists into a fine art. From the special ‘foreigner’ prices at all attractions (where they add a few extra zeroes onto the ‘local’ entry fee) to the taxis that chase you along the pavement, it seems everyone is looking to get at your wallet. Of course, that isn’t entirely unexpected when you pick the hyper-touristy option of Delhi, Agra and Jaipur, India’s so-called ‘Golden Triangle’. On top of that, we travelled most of that route in an air-conditioned chauffeur driven car, which unsurprisingly makes you a target. One especially fun episode came when the driver had to leave the car for a moment in order to pay at a toll booth. Two men with ‘dancing bears’ decided that the old methods are the best – to get what you want, use violence. Sitting in a car that’s being rammed repeatedly by two large carnivores is a little disconcerting to say the least. Still, the Taj Mahal remains one of the most perfect pieces of architecture on the planet; be certain to arrive at the crack of dawn, as you’ll need the whole day to take it in. Indians and people who've travelled to India I've met since then have advised me that I should have gone to Southern India. If I ever go back, I think it would definitely be a good idea to go with someone Indian, or at least makes friends with someone who lives there beforehand. That should hopefully reduce the tourist trap nature of my first experience.